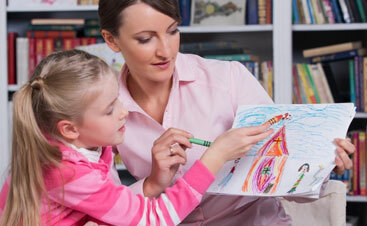 There is no truly black and white line for deciding whether it is or is not necessary to hire home healthcare help. Some situations, like post inpatient hospitalization or rehabilitation, have a more obvious need for continued assistance outside the hospital. However, not all circumstances are that cut and dry. 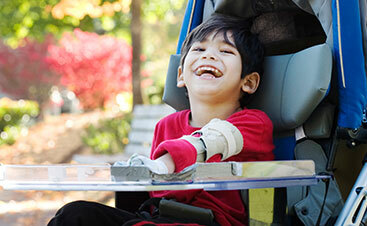 As an example, a family with a special needs child may be able to get by without help while the child is still young but, as the child grows up, may require more assistance. Another common circumstance that can develop slowly over time is a family supporting and caring for an aging loved one who has Alzheimer’s Disease. Because home healthcare companies generally offer a wide range of different in-home health care services, it’s not really feasible to give a comprehensive list of everyone who does and does not need the help of a home health aide. 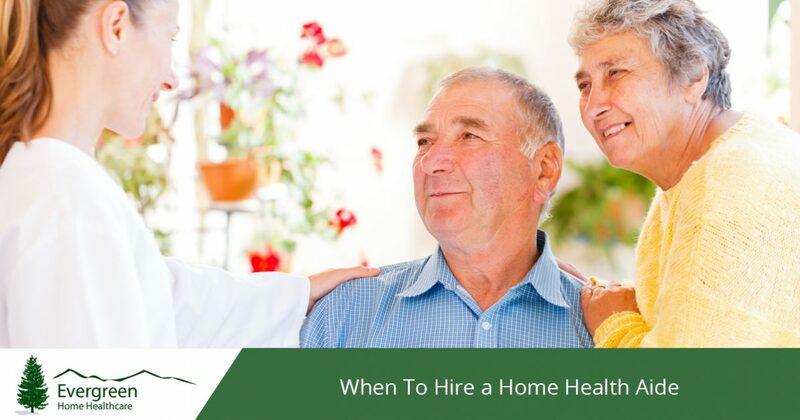 If you think you may need to hire a home health aide or other in-home healthcare assistance, start with these common circumstances. Most importantly, when we talk about who could benefit from the help of a home health aide, we’ll keep it in generally broad terms so, if you’re unsure about your specific situation, the best bet is going to be asking the physician in charge of treatment or checking with your local home healthcare agency; more often than not, home healthcare is prescribed by a physician, which means it is covered (in part or fully) by health insurance. For many healthcare concerns, especially those pertaining to long-term recovery or ongoing health and medical issues, you will likely need to coordinate medications and supplies with the doctor, so they are in a good position to guide you. Those that fall under the expansive umbrella of long-term care are probably the largest portion of those who need the help of a home health aide. 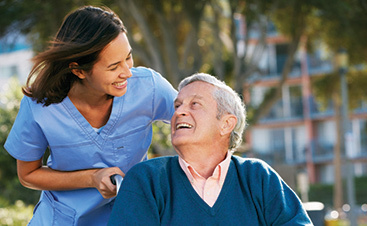 Long-term care encompasses anything that will require a lengthy or permanent change in medical care needs and lifestyle. This can include services like at-home rehabilitation from knee or hip surgery as well as helping those with chronic or recurring illnesses so they can receive as much care and treatment from the comfort of home as possible. Home health aides from home healthcare agencies include trained and licensed CNAs, LPNs, and RNs who can handle a variety of medical services at home, including things like catheter and ostomy care, IV insertion and changing, and giving injections. For those recovering from surgery, a trained physical therapist can come and provide in-home rehabilitation as well as making and teaching about mobility adjustments to the home to make recovery as easy as possible. Or, for those with limited mobility, a home health aide can come and assist with daily-life needs like personal hygiene help. A home health aide can also provide the necessary assistance and medical help required on a short-term basis. This way, recovery can take place in the comfort of home without daily trips to the hospital for medications or other help. In-home care from a licensed nurse can provide services like medicine administration and injections as well as wound care and monitoring vital signs and overall health status. If you or a loved one will need extra medical attention after surgery or during recovery from an illness, discuss with your doctor whether care from a home health aide could benefit you. More often than not, a physician or medical social worker will discuss care options with you if you or a loved one will need the extra medical or therapeutic attention of a home health aide. However, if you have a loved one who fits into one of the above categories or you find you’re spending a good portion of your week driving to and from the hospital or rehab facility, you may want to raise that question on your own if your doctor does not. Whether your loved one needs round-the-clock medical care, routine pediatric occupational therapy, or just some additional help for a loved one with limited mobility, a home health aide can alleviate some of the stress that comes from providing the level of care needed. If you or a loved one could benefit from the help of a home health aide, call Evergreen Home Healthcare to start the process for in home care today!